You have got your good trademarks registered NOW what’s next ! Is this the completion of work ? In order to make your brand strong, it requires a good investment and efforts to watch on what going on around your trade name in the market, technically this is known as Trademark watch. Mostly, people file for a trademark and feel that they have secured it, ideally this the case even. But now with the boom in online marketing, generally people avoid getting their trademarks registered in all forms, such as LOGO, their website address, which is really really important and competitors sometimes do make it difficult by securing a identical website or a deceptively similar domain name registered on their name. It is evident that once you secure the name and as you invest in your brand you shall also take routine check about the activities of your competitors or free riders trying to get benefit out of your brand name. Now let us understand how to do this. In case you are done with your trademark application filing, do check the new trademarks published in trademark general that is published on ipindia website weekly. Where the trademark office publishes all the recent trademarks accepted. Now the question arises why this routine check is important. The foremost reason is by checking the trademark journal regularly , you will get a better idea on which brands are trying to fetch a identical name as your brand so that you may stop them then and there only. Check and secure all relevant domain names ! Suppose you brand name is One Stop Medicine, Now you were able to secure your brand name as one stop medicine, but there might be a chance that a free rider may secure a domain name as www.osm.in etc. As generally people tend associate a long brand name with initial abbreviation, this may lead to dissemination of audience online, which is a huge loss for your brand. 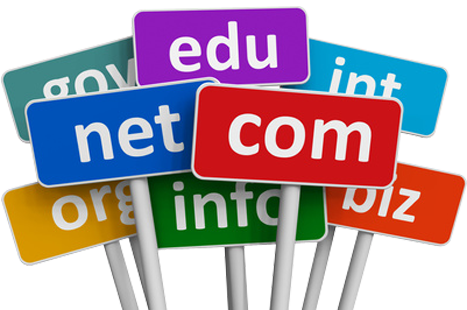 It is always advisable to secure your domain name as well as under trademark registration. So even if you somehow forget to get the website renewal done you will still have an edge to stop anyone who buys the same in future. Always see your date of trademark usage ! The above mentioned steps may only be at your side once your own trademark file is complete. Its always better to claim your trademark usage date by filing an affidavit of usage, which clearly establishes your right over the applied trademark. !!! Maintain all deadlines !!! Most of the times people tend to forget about their trademark applications after filing but its important to keep a check on trademark objection, trademark advertisement, trademark opposition if any on regular basis to avoid any undue abandonment of the brand name. So, brand building is clearly not a one day job it’s a constant effort! Keep up the trade with secure trademark.